Here's a quick and simple top from one of the Stylish Dress Book Japanese pattern books. 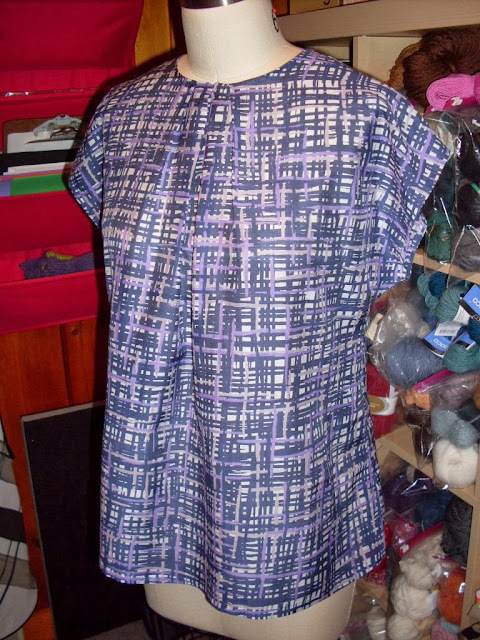 I altered this pattern slightly due to only having one yard of this lovely cotton silk plaid. The sleeves were supposed to have a ruffly edging, but I left that off, preferring the simplicity of the dolman style. I also lessened the number of pleats in the front from six to four. These cotton silks I've been sewing with recently have such beautiful drapes. I can't get enough!